Sure, we'd love to update our space every time the seasons change, but unfortunately, our salary can't always accommodate an overhauled approach to redecorating. Fortunately, you don't need a major budget to upgrade your home with the season's latest trends. In our experience, even the most insanely stylish rooms boast a high/low mix of expensive designer pieces and affordable finds. To show us how it's done, we tasked four interior designers with a challenge. Armed with just $100, they told us exactly how they'd decorate a room using only products from H&M—and honestly, they did not disappoint. In fact, we guarantee that you'll want to add every item to your cart (which, if you did, would only set you back $400). 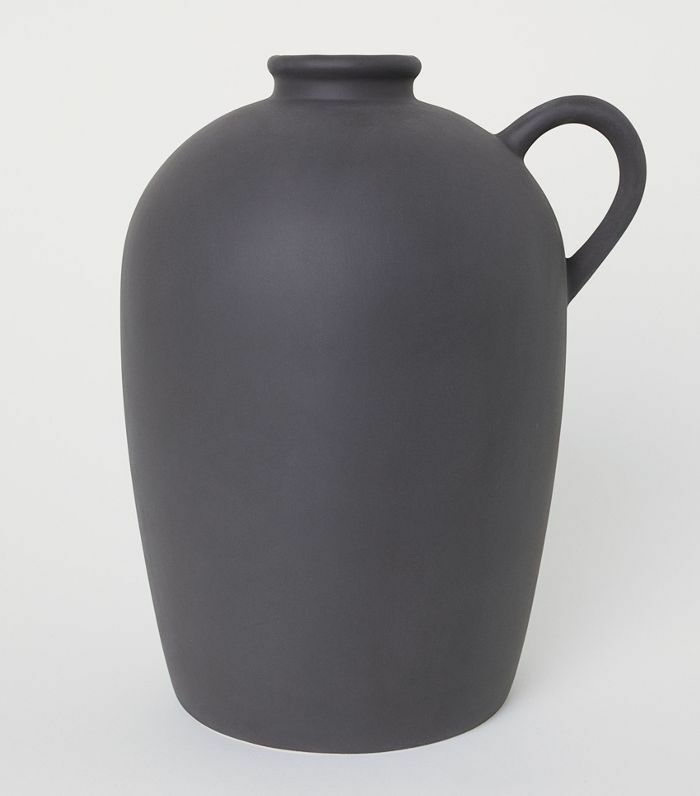 Keep scrolling to shop interior designers' affordable H&M home décor picks. Although it's unrealistic to suggest that you redecorate your living room each season, all you really need are a few affordable accessories to completely transform your space and bring it up to date with the latest trends. To upgrade our space on a budget this fall, we tapped New York–based interior designer Tali Roth to show us how to add seasonal flair to our living room with just $100 at H&M. "I love this piece because it's nondescript and timeless," says Roth. 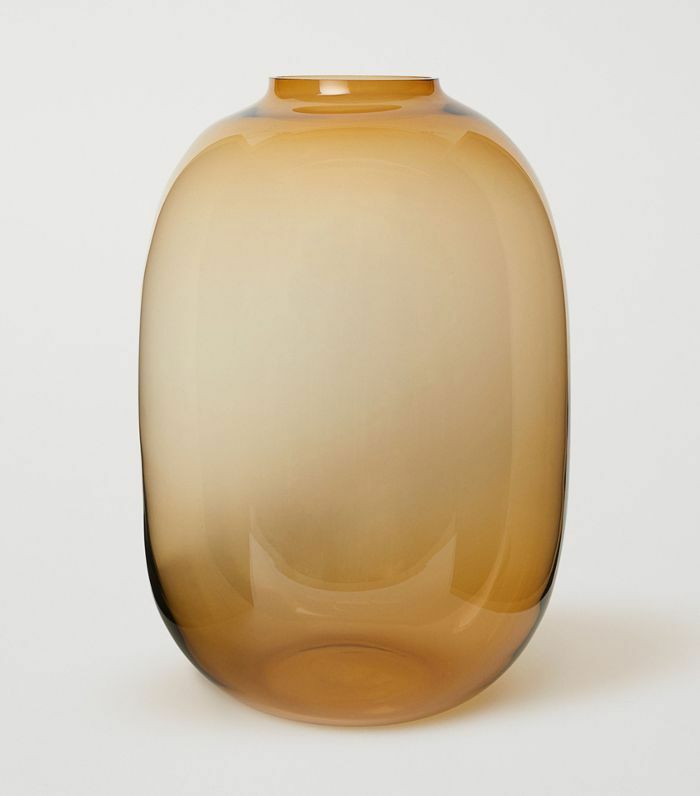 "I think it has a great shape and its oversize nature means it can really be a statement piece on a dining table or sit to the side on a cadenza," she adds. "I think you can have it plain or add a couple of blossom brands for more drama!" 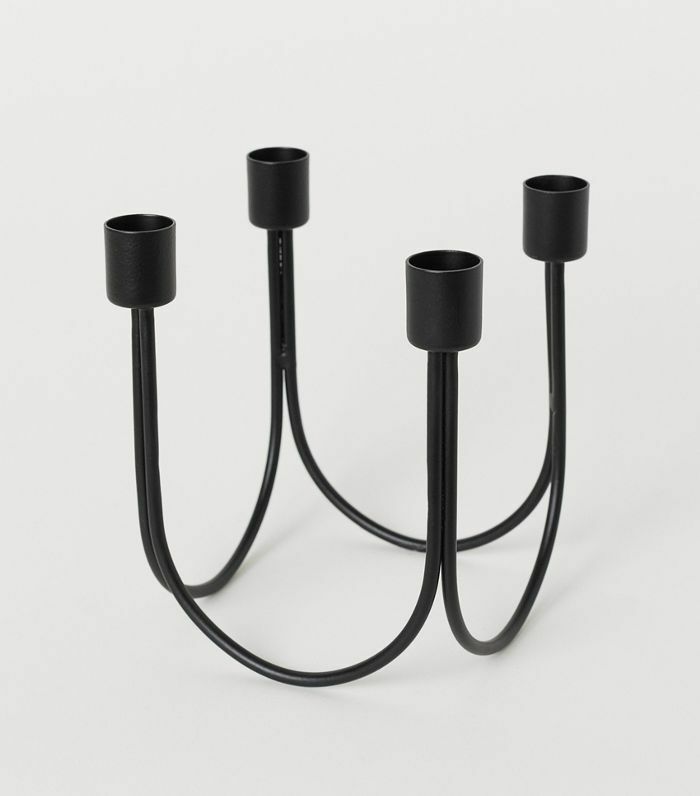 "I love these because of their shape and their price point! 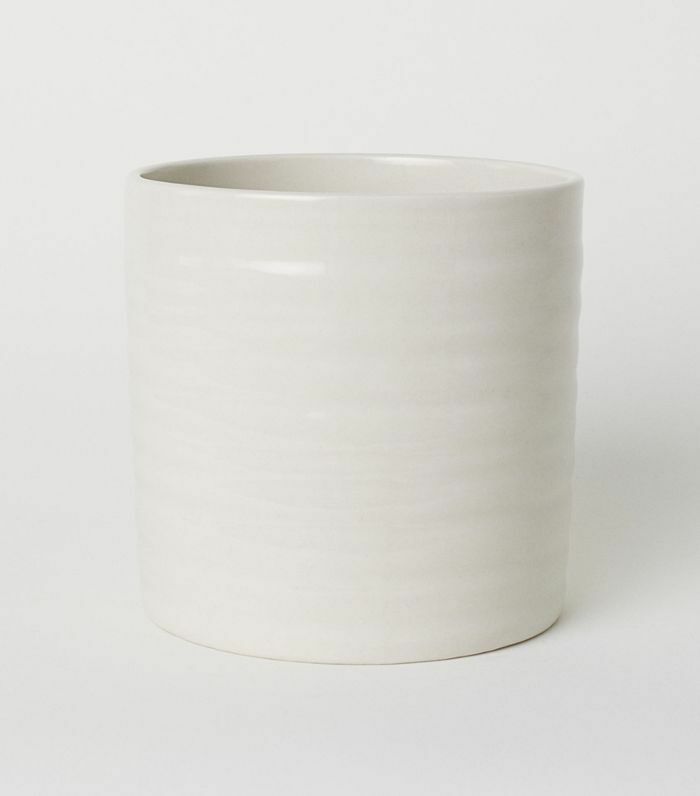 It's literally the perfect tabletop styling piece and will add some depth and dimension to any vignette in your home." 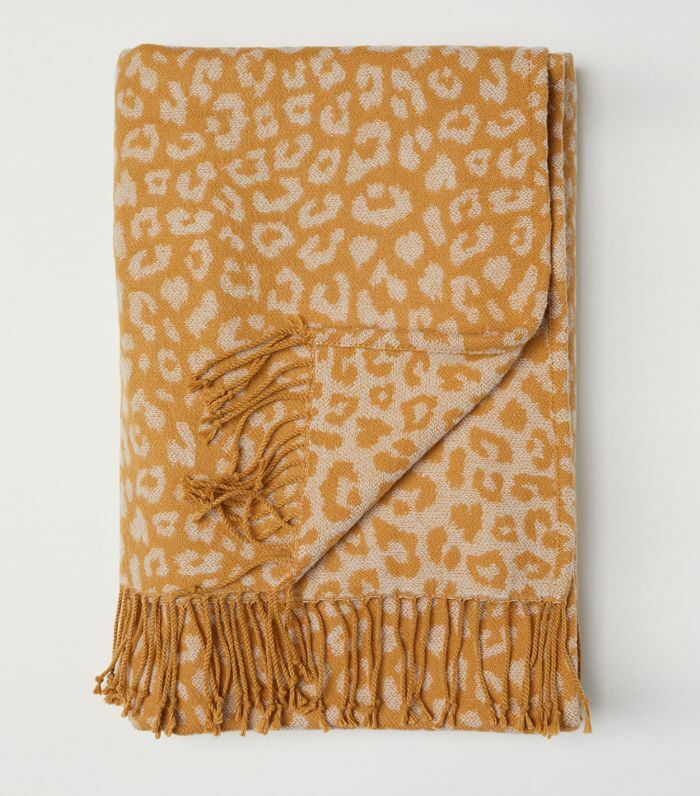 "I am so into leopard print at the moment, so I can not go past this throw. 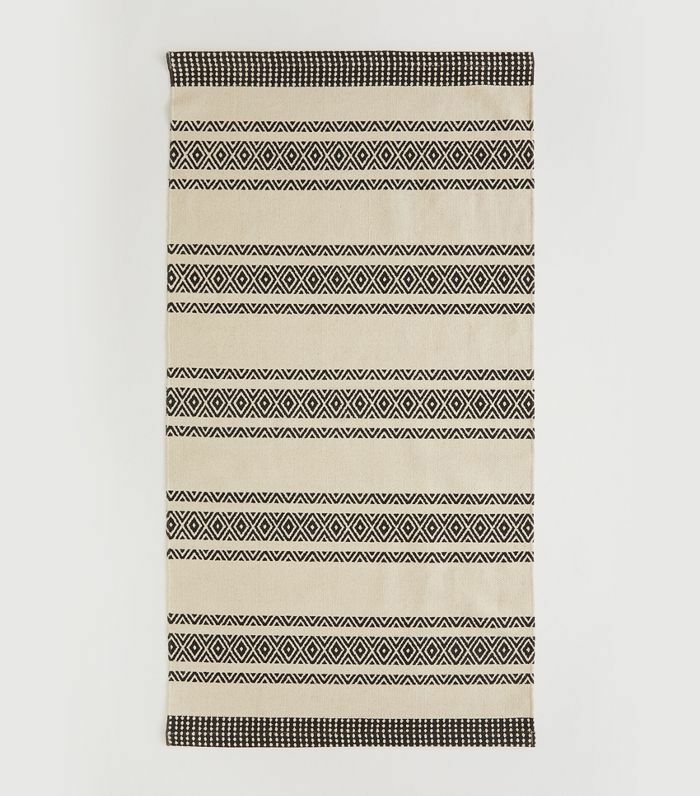 I think it's gorgeous and I love the idea of mixing it with a plaid or another print for some fun!" As the heart of the home, the kitchen deserves a major seasonal upgrade come fall, especially when you consider that Thanksgiving is fast approaching. "My kitchen is small, but it gets a lot of use and tends to be a gathering place when friends are over, so decorating it nicely is really important to me," says Los Angeles–based interior designer Mandy Cheng. Keep scrolling to see how Cheng makes the most of this space with $100 at H&M. 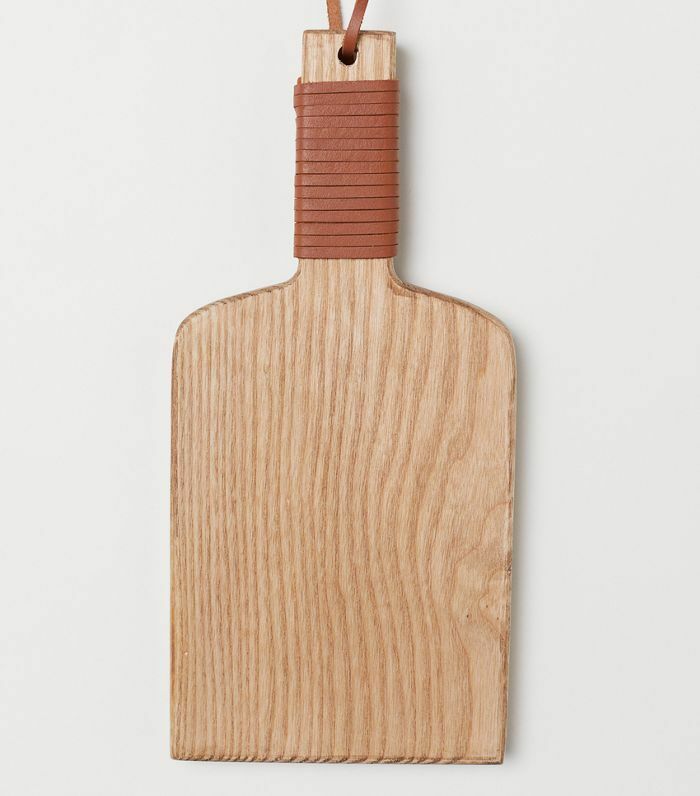 "One of my go-to decorative items is a cutting board, and I love this one," says Cheng. "The leather detail is so pretty, and the fact that it can hang is amazing. Hammer a tiny finish nail into the side of one of the upper cabinets and you've got a beautiful decorative element that's easy to grab when you need a cutting board!" 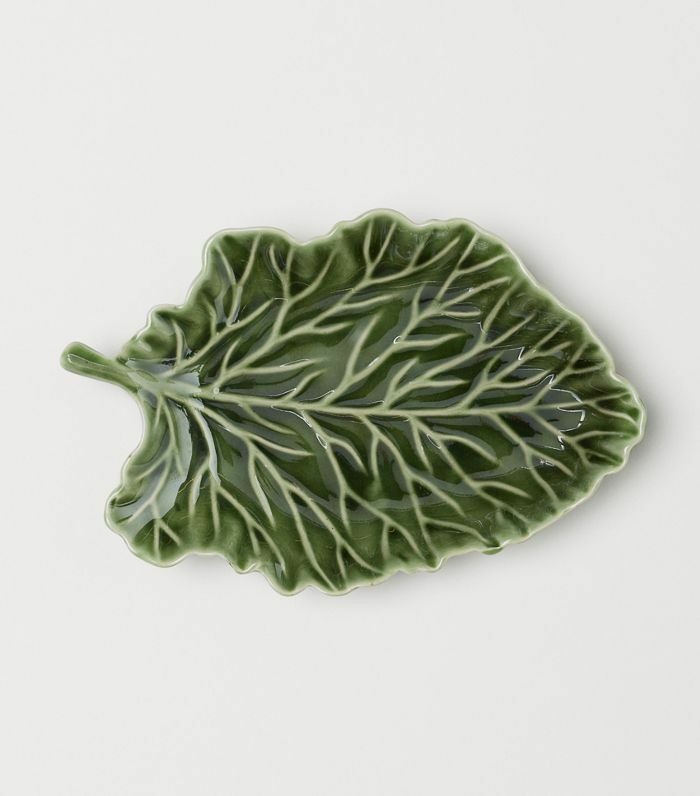 "This little textured leaf plate is perfect to sit on the stove or on the counter so I have a place to set my cooking utensils while I'm cooking. The green tones add a natural pop of color." 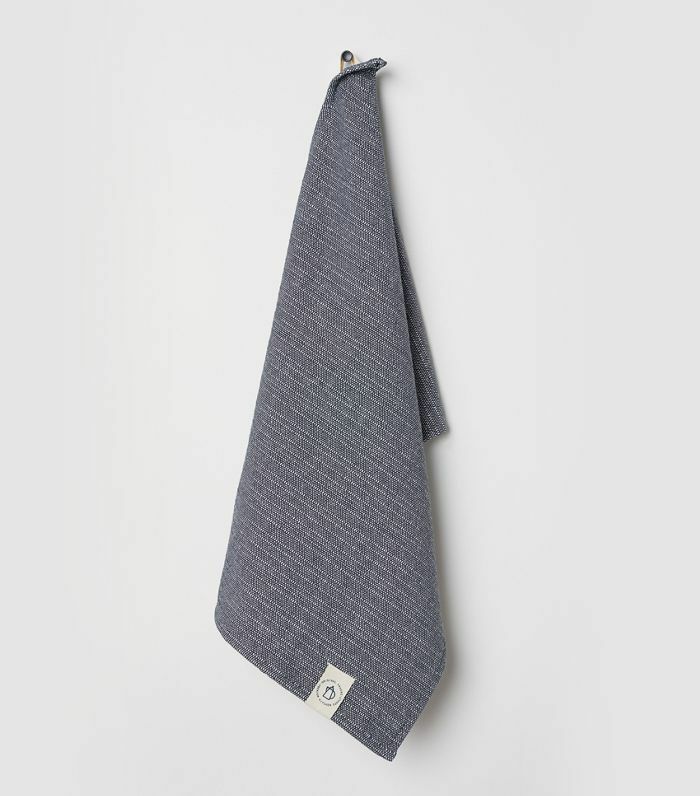 "Tea towels are another must-have, and I love this textured dark gray tea towel paired with this dark yellow waffled one." 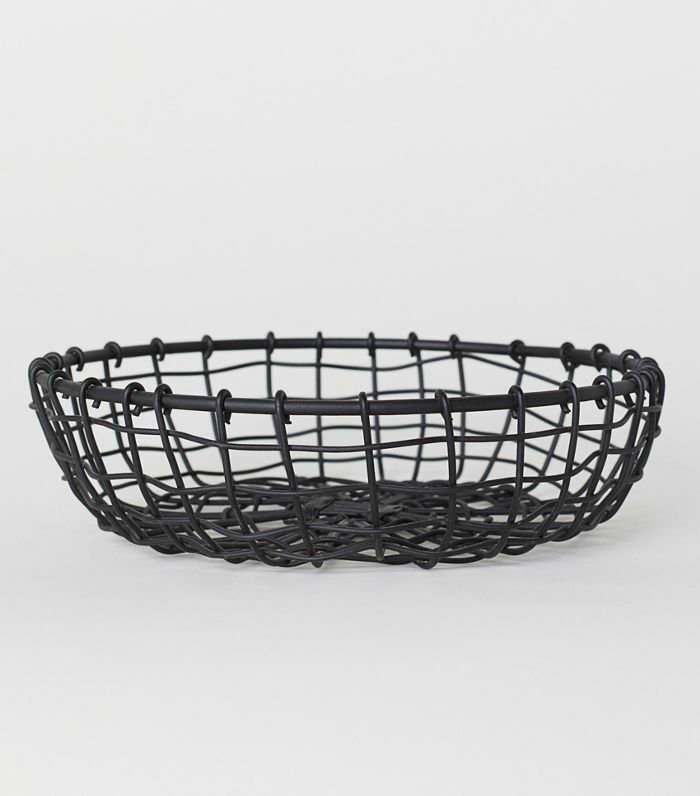 "I love this small metal bread basket! The color is perfect for my kitchen, the small size means it doesn't take up too much countertop space, and the mesh design keeps everything fresh longer! But rather than bread, I'd use it for all my bananas and avocados because let's be honest—Angelenos try to pretend like bread doesn't exist." "And finally, a washable rug is a must. 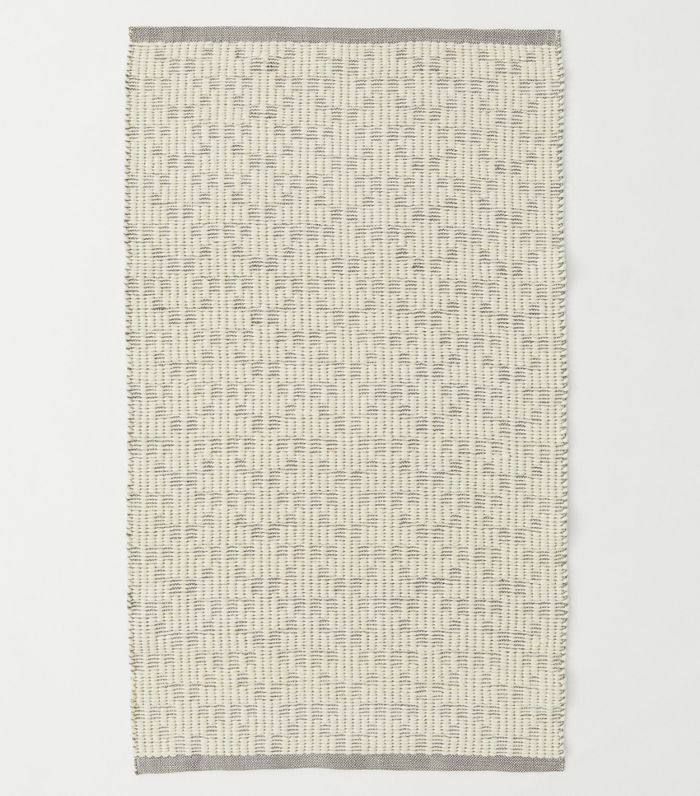 This simple, printed cotton rug is the perfect size, and can easily migrate between the sink and the stove area depending on the task." Fall is the unofficial season of indoor entertaining. Between Thanksgiving, Friendsgiving, and casual fall dinner parties, trust us, your dining room is about to become one of the most used spaces in your home. To make the space guest-ready on a dime, here's exactly how Los Angeles–based designer Natalie Myers of Veneer Designs would spend $100 at H&M on decorating a dining room. 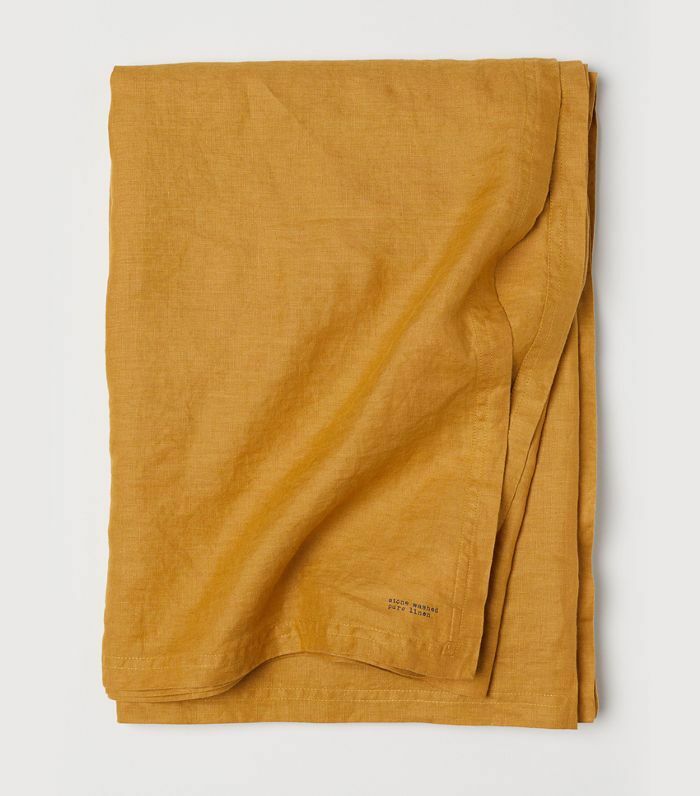 "This dark yellow washed linen tablecloth is a must," according to Myers. "It's THE color of the season and I'm a sucker for linen anything. This will give your dining table instant styling cred. Anything you layer on top of this will look pretty amazing." 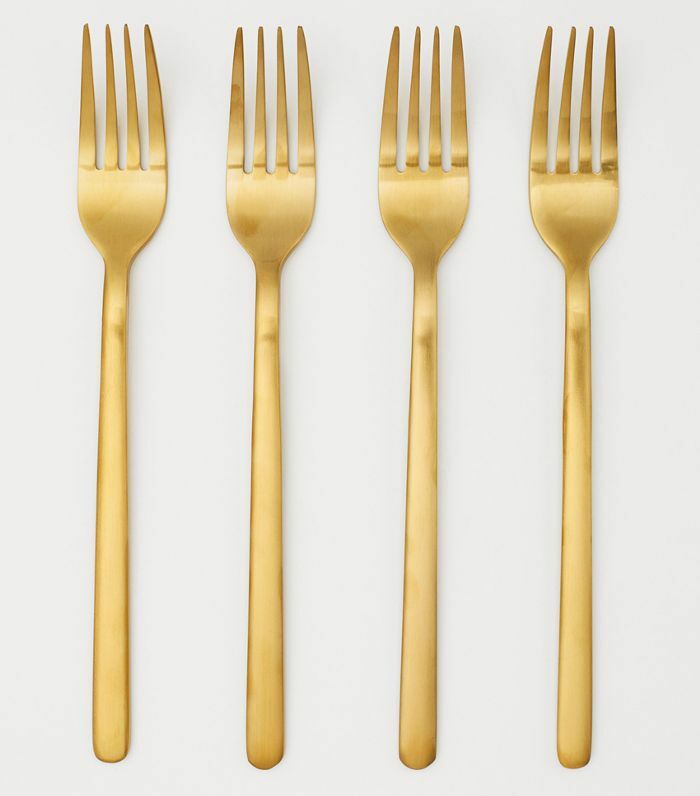 "Gold flatware would look rich on the dark yellow tablecloth, even with the simplest of white dishware." "Add a large glass vase of pampas grass, eucalyptus, and artichoke flowers as a centerpiece and you have one extremely chic table for under $100." Luckily, you don't need to swap out your expensive linens to curate a cozy bedroom come fall. Simply adding a few affordable accessories to your existing décor can transform your space into a hibernation-ready haven. To show us how it's done, we asked San Francisco–based interior designer Nicole Newkirk to share her under-$100 bedroom picks from H&M. "It's always nice to have a cozy rug you can put your feet on when you get out of bed, especially if you have hardwood floors," says Newkirk. 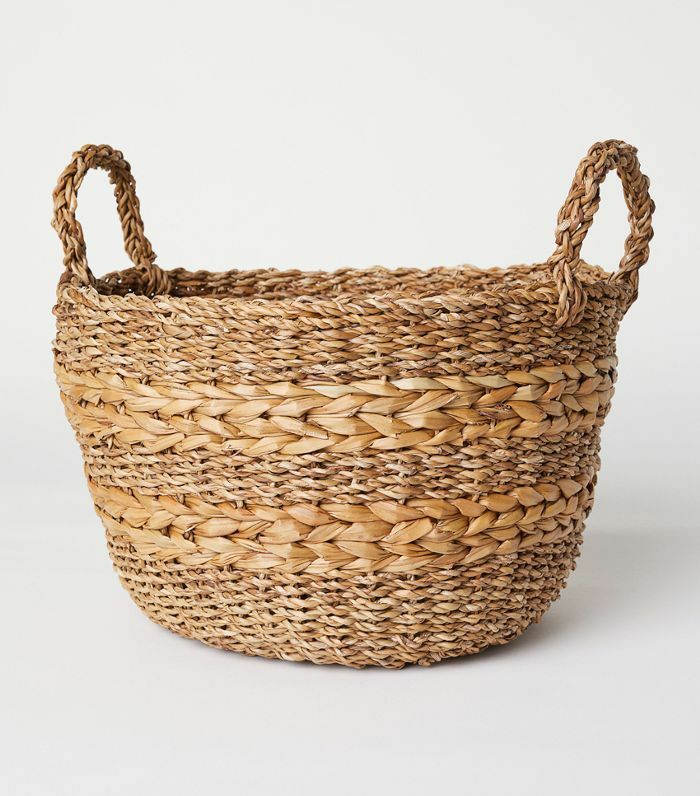 "Keeping a cute storage basket in your bedroom is a great catch-all for storing your bedroom pillows." "I love having plants in my bedroom, so the more cute vases I can buy the better." Subscribe to our newsletter for shopping guides, exclusive home tours, trend reports, and more.